We’ll make sure you have the tools and knowledge before you’re out in the field. We’ll make sure you’ll have a steady job flow and your own dispatcher. We take care of our employees like family. You’ll receive great pay, benefits, and paid time off. No Experience Necessary – Start Today! Best Pay in the industry. Not a 1099 Contractor job. Provide the best quality parts in the industry. 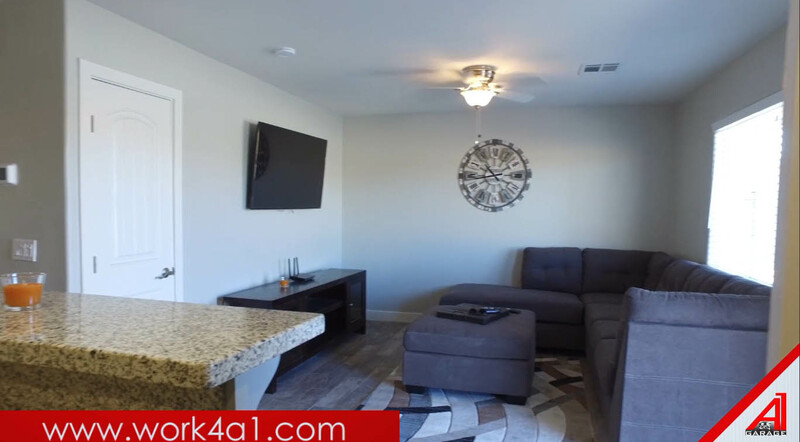 Stay at our A1 Apartments. with the #1 leader in garage door servics. When you join A1 Garage you will feel like family. We have been in the business since 2006, & today we currently operate in 10 States & 36 Citys. We are growing rapidly and have new and expanding job opportunities. Our Mission is to provide our customers with the absolute highest quality service and best value in the garage door industry. Our vision is very clear with seeing us growing and becoming the national leader in garage door repair services, one neighborhood at a time. Join our journey. As we expand, we are always looking for more talented people to join our team. By 2020 we expect to expand our locations in 8 states and 25+ cities. The plan is to not stop expanding and hiring. Check out our video library to see who we are and what we are about! Comfortable environment, competitive pay, excellent business model, very progressive, established firm with tried and true methods and policies in place. The company really believes in investing in people and bringing out the best in them while trying to keep things as fair as possible. This company really cares about it’s employees and it’s customers. The leadership has proven time and time again that they really do have the people’s interests in mind. I have worked for other garage door companies and they don’t care for their employees or their customers. They only care about their bottom line. Not A1!! This is a growing business with excellent opportunities for advancement. It is a company in transition from a small mom and pop company to a large corporation. Because of this it has a family atmosphere while offering the opportunities and benefits of companies many times our size. Great company to work for. Offers benefits, paid weekly, provides company vehicle, provide training, and a well managed company. Everyone is treated equal ..Management here is great they really listen ..This place is amazing place to work at. Select a state to view Career Opportunities.